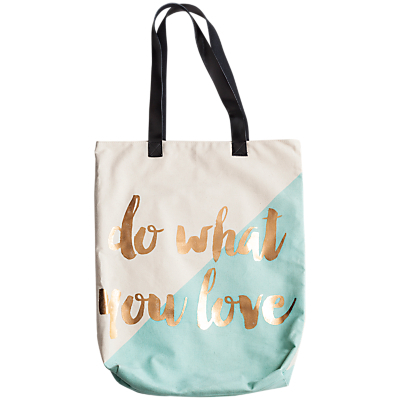 Tote bags are super useful for carrying around everything and anything and with this ‘do what you love’ tote bag you can do it all whilst looking super stylish as well! 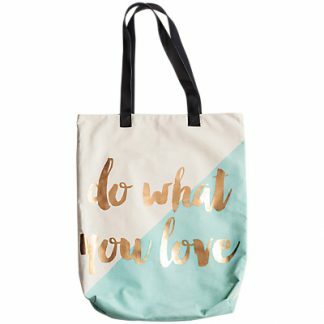 This tote bag features a gold foil ‘do what you love’ design on a half and half cream and teal background with black leather handles, gusset and inside zipper pocket. 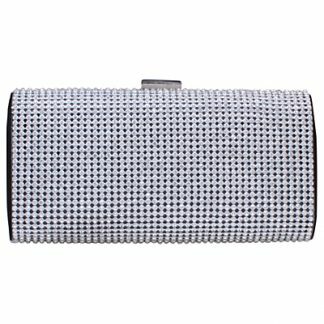 Both stylish and useful it makes a wonderful gift or self purchase.